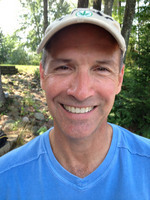 A graduate member of the Tomahawk High School Class of 1975 participating in wrestling and track for four years, cross country for three years, and played freshmen football. Over his career Bill earned 11 letters in three sports (four in both wrestling and track with three in cross country), won eight All Conference honors (four in wrestling, two in cross country, and two in track) was a three time State qualifier and two time State place winner in two sports (qualified for State in wrestling as a sophomore and placed 5th in wrestling and 9th in cross country his senior year), was a member of two conference championships in cross country his junior and senior years, as well as establishing a new school record in the 2 Mile in track as a senior. Individual honors included being selected MVP in both wrestling and cross country, winner of the Don Dorski Award, and captain of his wrestling team. After high school Bill went to UW-River Falls where he participated in cross country for four years and track two years. One of his college highlights was when he set a new school record in the 26 mile marathon when he placed 13th in the NAIA competition and narrowly missed All American honors. Some of Bill's accomplishments after college have been running in the Boston Marathon two times as well as the New York City Marathon and the establishment of several businesses including a Botanical Brokerage which at times allows world wide travel to meet business needs.